The EMO is the not-to-be missed leading international trade fair for the machine tool industry. 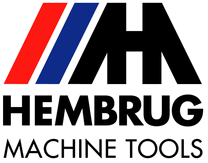 Hembrug can be found in hall 17, booth nr. C18 and will be exhibiting two Mikroturn hard turning machines demonstrating the latest developments in hard turning. Both machines will also have new colours and a new type of control panel. The new colouring represents the restyling of the Hembrug hard turning machines, which are expected to be launched next year. Hard turning and grinding in one sep-up. To meet the demands of the market for a surface structure that is only possible through grinding, Hembrug has integrated a grinding spindle into one of its models. Hembrug shows the possibilities this offers at the EMO with the Mikroturn® 500 XL. This machine demonstrates an ultra-precise turning/grinding process under the slogan “grind where necessary, turn where possible”. 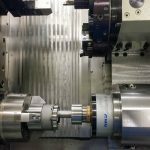 This configuration offers the advantages of the hard turning process and, where required, realises a surface structure that is only possible through grinding in one clamping set-up. In addition, Hembrug presents the Mikroturn® 100, with options for advanced process monitoring. The entire hard turning process can be monitored and automatically adjusted by means of three integrated measuring systems. 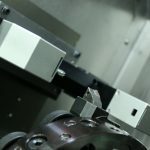 An optical insert measuring system determines the entire geometry of the insert, including changes in the radius and the current level of wear. During machining, the process is controlled with a process monitoring system. This monitors the workpiece quality in real time, as well as wear and any damage to the insert. Finally, a scanning probe provides feedback about the quality of the end product after machining and before it is removed from the machine. These options contribute to a very high degree of process reliability. Our area sales managers and technical experts will be available during the show for project discussions. Fill out your details below and we will contact you for an appointment and send you the details for a free entrance.